Yaphank is a hamlet and census-designated place located in Suffolk County, Long Island, New York. It is within the Town of Brookhaven. The county seat is Riverhead. The neighborhood has a total area of 14.1 square miles of which, 14.0 square miles of it is land and 0.1 square miles of it is water. As of the 2010 census, there were 5,945 people (+19%), 1,772 households and 1,351 families residing in the CDP. The median income for a household in the CDP was $90,000 and the median income for a family was $100,341. Males had a median income of $65,028 and $45,974 for females. Yaphank ZIP Code is 11980. Area Code is 631. The latitude of Yaphank is 40.836N. The longitude is -72.917W. It is in the Eastern Standard time zone. Elevation is 43 feet. 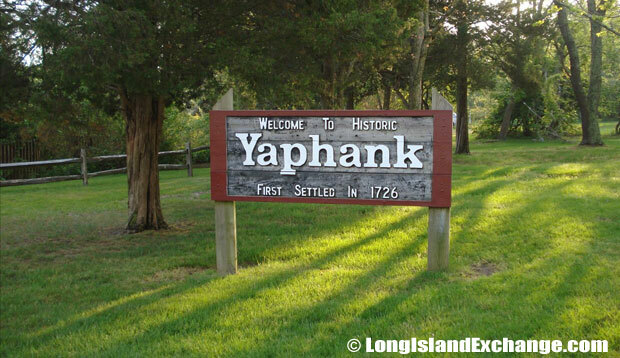 A sign welcomes visitors and residents to historic Yaphank, a hamlet and census-designated first settled in 1726, in Suffolk County Long Island. 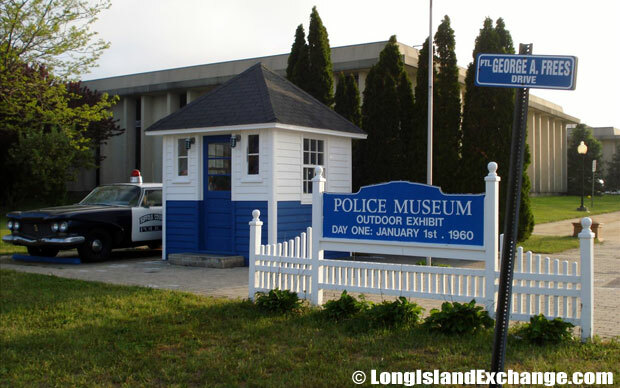 A 1960’s Police Car and Police Booth set the stage for the Suffolk County Police Museum is located at the Suffolk County Police Headquarters at 30 Yaphank Avenue. The neighborhood name derives from Indian term for “riverbank”. The former and merged names of Yaphank include Millville. In the mid 18th century, John Homan constructed two mills along Carmen’s River, which runs directly through the center of the town. The LIRR built a railroad station here in 1843, and virtually overnight the small mill town became a major commercial center. The hamlet was also home of Camp Upton, which was used as a boot camp in 1917. The site was transferred to the U.S. Atomic Energy Commission (AEC), by the United States War Department in 1947, and it now serves as the home of Brookhaven National Laboratory. 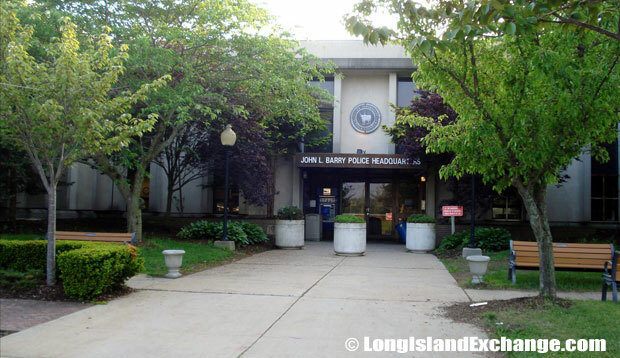 John L. Barry Police Headquarters 30 Yaphank Avenue Yaphank, NY. Sign reads: The Homan-Gerard Mill Site was a typical family mill complex. By 1771, there were at least five mill complexes along the Carmans River. The village that grew up along the street connecting the Upper and Lower Mills was known as Millville, and later Yaphank. 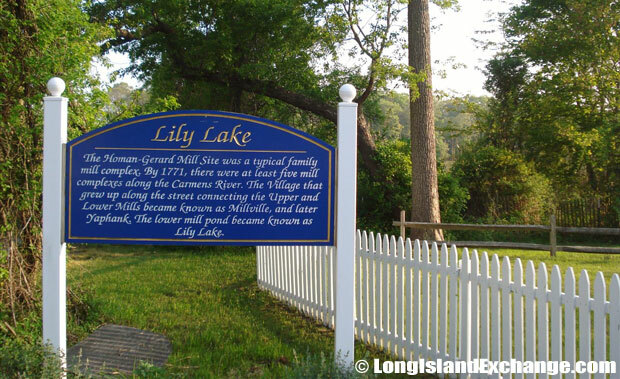 The lower mill pond became known as Lily Lake. The racial-makeup of Yaphank comprises of 85.11% White, 11.22% African American, 0.24% Native American, 1.03% Asian, 0.04% Pacific Islander, 0.94% from other races, and 1.41% from two or more races. Most of its resident’s ancestries were Irish, German, Italian, English, Polish, Puerto Rican, French, Russian, Scottish, and Norwegian. 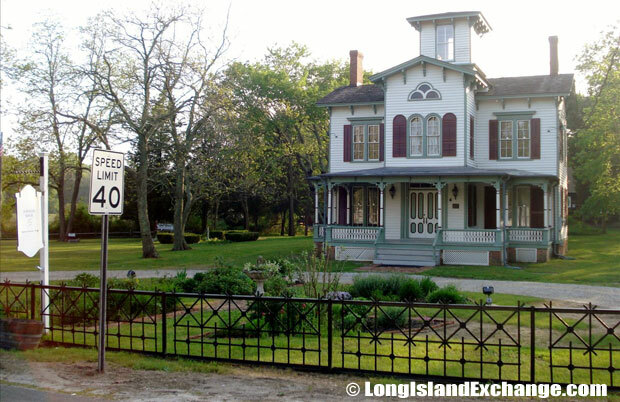 In 1850, Robert Hewlett Hawkins, a successful businessman born In 1817, constructed his residence now known as the Robert Hewlett Hawkins House on Yaphank Avenue. 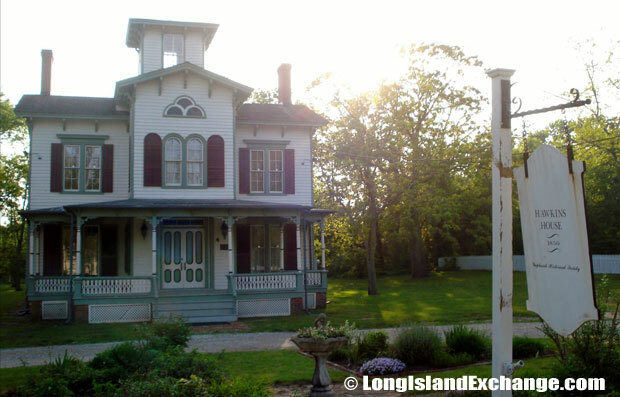 The Robert Hawkins House was slated for demolition when the Yaphank Historical Society worked to persuad the County to allow them to restore the building in 1976. Yaphank is served by the Longwood Central School District, except for extreme southwestern part where it is served by the South Country Central School District. There public schools spend at least $11,074 per student. The average school expenditure in the United States is $6,058. There are about 17 students per teacher in Yaphank. 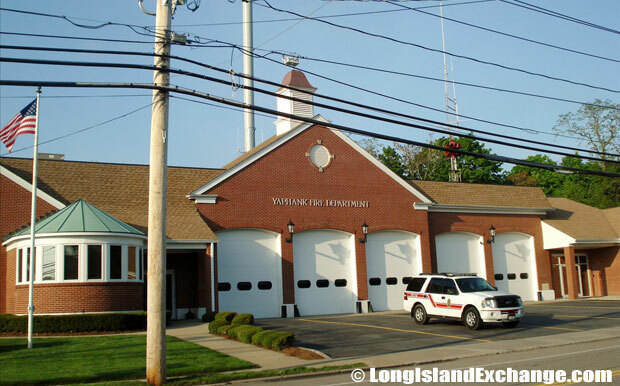 Yaphank Fire Department serves the areas of Yaphank, Shirley and Medford and has over 100 members who provide Fire, Rescue and Emergency Services. 7 days a week, 24 hours a day for a rapid response to every emergency call. 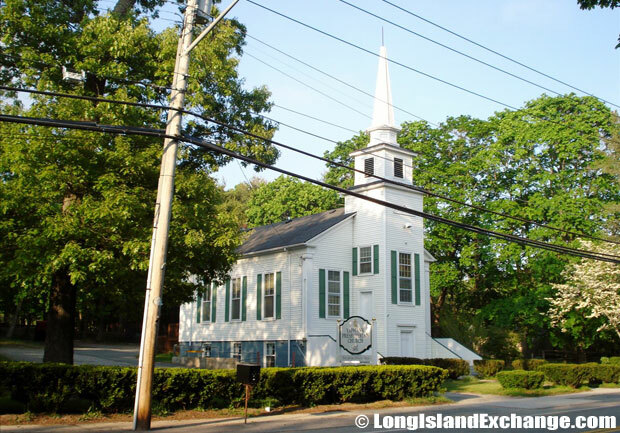 The historic Yaphank Presbyterian Church, originally built in 1851, is shown here prior to the fire in late 2013 that tore through the building destroying it. The historic church is planned for rebuilding. The Suffolk County Farm and Education Center is the famous attraction in town that is open year round to the public and includes a historic hay barn, farm animals, and agriculture practices and techniques. Fairs and festivals are held here throughout the year and many educational programs are offered. There are also several Suffolk County facilities located in Yaphank such as Suffolk County Police Department, Suffolk County Correctional Facility, and the county fire academy. Yaphank is a large stable middle-class neighborhood. Most of the housing units here are occupied by their owners, not by renters.